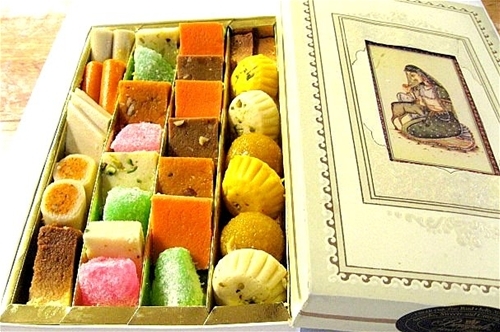 When the occasion requires something special we suggest Bengali Sweet House classic assortment. A box of exotic and irresistible flavors approximately 2lb of dry sweets. Always Fresh, Never Frozen Indian sweets and nuts made in the traditional way in USA and shipped directly from our Kitchen. Store in ref immediately upon receiving, serve at room temp for best taste. All Gift boxes are professionally packed and shrink wrapped. A free personal message can be included with each gift box if so desired. Great gift to impress your associate or loved one. The color and style of Gift box and sweets may very from the picture shown.